Ever since smart devices first hit the market in their current recognisable form, one of the age-old questions has always been; who exactly is listening to me? This question has typically been reserved for the mobile phone market, and there have been a number of studies to determine an answer to this question, albeit to varying degrees of success and with slightly differing conclusions. However, if you own an Amazon Alexa, the answer to that question might be yes. In a report filed by Bloomberg this week, it was revealed that Amazon employs ‘thousands' of people around the world to listen in on queries and commands given to Alexa, in an effort to improve the software powering the digital assistant. 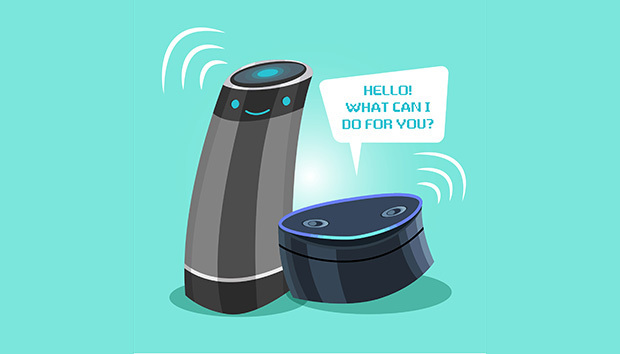 According to Bloomberg's sources - which comprise of seven people who it says worked on the improvement programs - Amazon's teams transcribe and annotate user queries and then feed results back into the system to fine tune the way Alexa understands and responds to commands. The clips heard by Amazon employees vary greatly. One of Bloomberg's sources said they were tasked with mining voice data for specific utterances, such as when users would mention ‘Taylor Swift' and the employee would have to annotate these utterances so the software could link it to the singer. Other clips heard were more alarming, including hearing a child screaming for help and an instance of what two workers believed to be a sexual assault. In the latter case, the two workers were told it wasn't Amazon's job to interfere. This is, technically, something that users have agreed to, as the company informs users that it uses data to ‘'train speech recognition and natural language understanding systems''. Although, as the Guardian notes, this doesn't explicitly mention real workers in America, India, Costa Rica and more. Amazon issued a statement to Bloomberg which said the company only annotate an extremely small sample of Alexa voice recordings, with data used to improve the customer experience and ‘train its speech recognition and natural language understanding systems'. It also assured that all data was completely confidential meaning workers cannot determine the identities of the people they were listening to.